Chrome 70, the latest update to Google's popular browser, amends an annoyance that the developers initially planned as a feature, but many people didn't like. We're talking about automatic auto-sign in in Chrome. The feature was introduced in Chrome 69 but was quickly panned for being more annoying than useful. Auto sign-in happens when, for example, you log into your Gmail on Chrome and the browser automatically links with your Google Account. The new update allows users to disable the feature in Settings, though it remains ON by default. 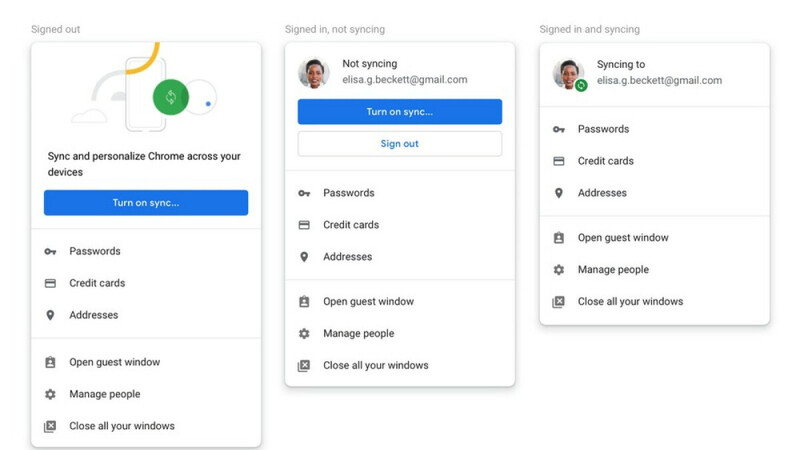 Chrome 70 will also show you messages, letting you know whether you're signed into the browser itself, syncing your account and linking previous activities, or whether you're just logged into a Google service like Gmail, Drive, or Photos. Yes!!!! I hate this "feature". I log in to my work email and it just creates problems with my home computer. Again, they need to bring back the option to swipe from anywhere to switch between tabs. This means google now figured out how to recognize and accumulate your data without needing to sign in.